I’m a bit of a germophobe. Learning in my microbiology class at dental school that there are literally millions of bacteria living on me has helped me cope a little bit, but I still like things to be clean. When I was a kid, I used to love watching the dentist open a new packet of dental instruments to use on me. I always thought that the instruments were brand new and were being used for the first time on me! I was wrong. The staff at the dental office puts the dirty instruments in an ultrasonic bath to remove the debris. Then, they bag the instruments and put them in an autoclave. Dentists must test their autoclave periodically to ensure that it is working properly to sterilize the instruments. But how do you really know if your dentist practices good infection control in his or her office? 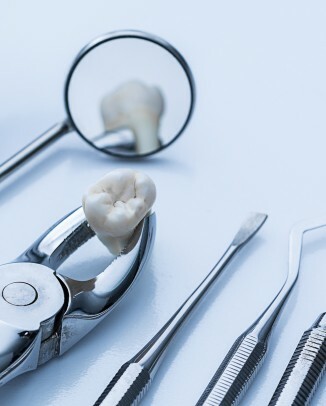 You might not think all of those things are necessary, however dentists who neglect these small things may also neglect the important things like completely sanitizing the dental chair and surrounding area before you are seated. 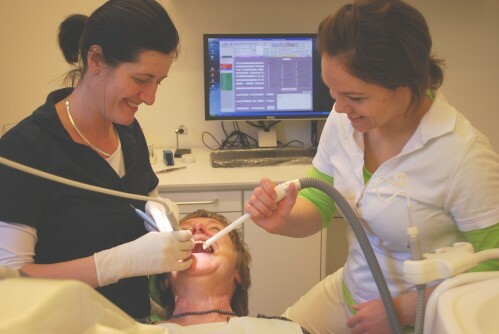 2 – Look for the dentist/assistant/hygienist to open the dental instruments after you arrive in the operatory. If they are already open when you arrive, they are no longer sterile. Once the instruments are opened, they are exposed to the surrounding environment. This includes bacteria found in the air and bacteria from people who may be nearby. 3 – Look for hard-to-clean surfaces to be covered with disposable plastic barriers and for surfaces in the operatory to be disinfected after each patient. This includes the handles on the dental light, the suction and air/water hoses, x-ray unit heads, and the computer keyboard and mouse. In addition, at my dental school, we provide a disposable head rest cover and we put a plastic barrier on the panel that controls the chair’s movements. We also put a disposable covering on the countertop. 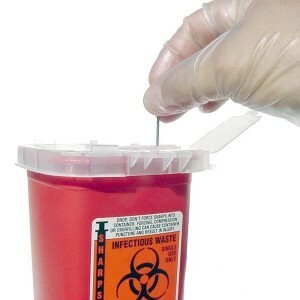 4 – Make sure that all needles and syringes are discarded in a puncture-resistant sharps container. Usually, these are red or white. They can be mounted on the wall or sitting in the room. If you don’t see one, you could ask your dentist or hygienist if they have one. If they do not, they could be endangering many people by putting infected needles into the public garbage system. 5 – Notice whether they discard all infectious waste in appropriate containers. Dental procedures that are of a surgical nature can produce a significant amount of potentially hazardous waste. In addition to the sharps container mentioned above, a dental office should also have an infectious waste container to discard items that were used surgically or are otherwise considered potentially infectious. 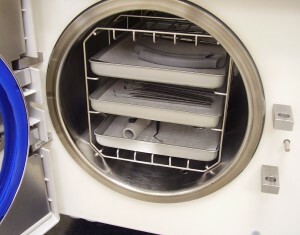 6 – Find out whether they heat sterilize (also called “using an autoclave” – this is pictured at the top of the article) all reusable instruments and miscellaneous dental items. You may have to ask one of the staff to find out whether this is being done. You may also want to ask when they last tested their autoclave to ensure it was indeed sterilizing the instruments properly (this is done on a routine basis in most offices). 7 – Look for dental staff to change gloves and clean their hands before and after seeing each patient. Make sure your dentist is changing gloves when he or she comes in to see you. Many dentists keep gloves in the operatory so that you will see them put them on when they come in. Also, even though gloves are worn, it is necessary for the dental professional to wash or sanitize his or her hands after seeing each patient as it is easy to transfer something from the glove to the hand or vice-versa when changing gloves. 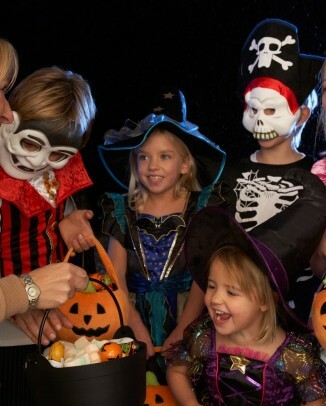 8 – Ask them about their infection control policies. Some dental offices will display their infection control protocols. This might be seen in the form of a sign on the wall or a poster or pamphlet in the waiting room. If the information is not readily apparent, find out by asking questions. Your health is important and any dental office with proper infection control policies in place will be happy to share this information with you to put your mind at ease. Below you’ll find a picture showing a dental procedure. Can you spot the infection control violations? Answer(s): The dental assistant is not wearing gloves, all three aren’t wearing protective eye wear, there aren’t disposable plastic sleeves around the suction the assistant is holding, they aren’t wearing lab coats or gowns, and they aren’t wearing face masks. Many dentists try their hardest to keep their patients from getting sick after they visit them. There are some who need improvement in this area. Hopefully the list above will help you gauge how your dentist is doing. If you are nervous or unsure about the cleanliness of anything, don’t hesitate to ask your dentist. You deserve a clean office and sterile instruments. A dental office should be a place to prevent and cure disease, not catch it! Do you have any questions or comments about dental infection control? Please leave them in the comments section below. Thanks for reading! Are nitrous oxide masks supposed to be cleaned between each patient? Hi Anne – Yes, nitrous oxide masks should be disinfected between each patient. At my dental school, we even disinfect the protective eye-wear that we give our patients. Thanks for your comment! 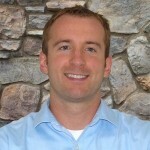 Hi, I have already posted about this crown replacement on another area of your website. I just thought I would comment on the bacteria aspect of my experience. The dentist that fitted my crown took it out of the package from the lab and popped it directly into my mouth. Before that, he had popped off the temporary and just blown air onto the tooth. I asked if the crown or tooth shouldn’t be cleaned, and he said that there is tons of bacteria inside the mouth, which is perfectly normal and harmless. He said he didn’t need to clean either one. The website of the lab that makes the crown states that the crown is not sterile when it is sent out and should be cleaned. The problem is that if a dentist isn’t doing things properly we as a patient can’t exactly tell them they are wrong, since we don’t know for sure. As I said before that is the last time I will go to that practice. Hi Kera – This is probably something I would’ve noticed too since I’m a bit of a germophobe! 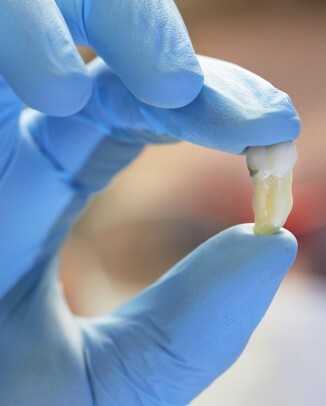 I haven’t gotten a crown on my teeth before, but I’ve never thought about the cleanliness of the crown that comes from the lab when we put them into our patients’ mouths. Fortunately, the crown cement should form a tight seal between the crown and the tooth. That way, if there were any bacteria on your tooth or the inside of the crown, they should literally starve to death. You do bring up an interesting point. It does make for an awkward situation when you know that your healthcare provider is doing something wrong. It’s hard to correct them. I try to keep an open dialogue with my patients and ask them many times throughout the appointment if they have an questions or if there’s anything I can do to make them more comfortable. Thanks for your comment, Kera! BTW, I moved your other comment here to a more relevant article on wisdom teeth. Thank you! That makes sense to me now! It is so kind of you to answer people’s questions. I recently found a dentist that I really like. I noticed that she does not use the plastic protective barriers over the lamp or on the computer mouse/keyboard. I’m a bit of a germophobe and I can’t help but wonder if they sterilize the lamp and computer mouse after each patient. I was honestly too embarrassed to ask. Suppose they are great at sterilizing, I feel that it would be rude to question their cleaning practices. Even if they do sterilize the equipment after each patient, should they also be using the plastic barriers? I also noticed that the dentist did not wash her hands before gloving – perhaps she did it before she came into the room. I need more dental work and I’d like to make another appointment, but I don’t know how to bring my concerns up without completely offending the dentist. I’d hate to insult her and then be stuck in the chair for an hour. My goal is not to expose this dentist for any wrong doings or educate her, I simply want to make sure I’m not going to catch a disease while I’m there. Any suggestions for how to delicately bring my questions up? Hi Loel – If your dentist does go directly from your mouth to the computer mouse and the mouse doesn’t have any plastic over it, you may want to ask about how they clean it. Since mouse buttons have spaces between them, it’s likely that your saliva is getting in there along with the previous patients’. Same thing with the keyboard. Those are two items that would be extremely difficult to clean after each patient. Your dentist probably is washing her hands before she sees you, so if you were to question her hand hygiene, that may be offensive. However, I don’t think there would be a problem asking about the mouse/keyboard issue. You could talk about how you’re nervous about getting sick. I hope that helps, maybe someone else has some good suggestions that they’ll leave here as well. Thanks for your comment, Loel! I noticed after going to the dentist, i have a big lump on my gum below my lips. what could it be? Went to the dentist to have a regular cleaning as I do every 4-6 months. I’ve had extensive dental work done so I really try hard to maintain good oral care from flossing to brushing my teeth 3-4xs a day. I’ve also had X-rays done on all of my teeth that same day as my cleaning. The dentist said that all look good on my X-rays, only a few iffy areas to watch where 2of my teeths xrays was a shadowy look but not a big concern which was uncertain. The next morning I was experiencing pain on my bottom tooth which got really worse thruout that week forming into a full fledged abscess on a perfectly healthy tooth! (Not the ones he questioned earlier) now I need root canal . I have very sensitive teeth .. Could something have gone wrong during my cleaning ? Would I be crazy to think that perhaps the dental instruments were not fully sanitized causing this type of problem? The dentists said that it was a coincidence. Hey about i do consider your weblog is relatively full pleasing i found it in google and i set it on my favorite list want to see additional great posts from u shortly. After reading this I’m even more worried. Our dental office has several trays laying out with dental instruments in no covering that they pull down and use as each patient comes in. I did ask if they had been cleaned because they had white spots on them and the dental asst assured me that they were. How would a person report this to someone who could investigate the office to make sure they aren’t spreading disease? Hi Claudia – The first place would be to get in touch with your state dental board or OSHA. If you have concerns, it would be a good idea to address them with your dentist as well as he/she can most likely put your mind at ease regarding their infection control policies. I hope that helps! I was just seeking the information about masticating juicers for a while. After 6 hours of continuous Googleing, at last I got it in your site. I wonder what is the lack of Google strategy that do not rank this type of informative websites in top of the list. Generally the top sites are full of garbage. How often do dental assistants launder their uniforms? Hi Jane – Ideally they shouldn’t re-wear uniforms. Thanks for providing such a caring service via your website. May I check, please, why a dentist might ask his assistant to boil the kettle shortly before he is about to extract a tooth? Hi Valerie – I have no idea. Maybe the dentist always enjoys a cup of tea at a certain time? Let me know if you figure it out! I notice some of your questions and answers, may i add that the CQC keeps bringing out different advice on instrument packaging if used for that day you do not need to bag them, they can stay in a cupboard or drawer for up to 7 days, also the covering of all dental equipment ect wouldnt the bacterial fly about in the air when removed and changed between each patient, surely it is better to wipe down with a disinfection cloth like they used to before all this covering became best practice. Just because something isnt bagged or covered dosnt mean it is not sterile. I recently went to a dentist on a Sunday morning as could not put up with pain another night. I did’t notice if he washed his hands before putting the gloves on, but after examining my teeth, he said I would need an x-ray, after the x-ray he went to the computer still wearing the gloves that had been in my mouth, he then needed to file a tooth, he was just about to do the work with the same gloves on, but I said in a very polite way could you please put some fresh gloves on, as you have not changed them and you have just been on the computer also the doors. I don’t think he liked me saying this, it is a hard thing to say-but he said the customer is always right, but I should not worry because everything is cleaned between each patient. I just completed some dental work on my front lower teeth. I had several cavities on the interior side of the tooth and after the fillings were in place the dentist began polishing the surface, water was splashing all over. Several droplets landed in my left eye, the right eye I realized was protected by the doctors hand. One day later I started having some discomfort mild eye lid pain which later developed into a stye on the lower lid. Is the water source sanitized too? I went to a dentist because I was in pain and could not stand it anymore. However, I don’t know if he washed his hands before seeing me but I did notice that he used hand sanitizer after he was completely finished with me. I also did not notice if the tools came out of a bag or not and when he was done I saw a few tools laying on those paper things. Now I must go back later this week to see him and I am scared. I almost feel like I am unsure if his tools are clean. Should I be freaking out? I had a filling put in my tooth last week, and developed a terrible infection at the sight of injection. When the dental assistant went to take an xray, she covered the bite part with plastic, then put it in the spit sink, then in my mouth. How do I handle this situation? I do not feel comfortable with their hygiene protocol and think I’m goinb to cancel. I’ve had it with this guy. I think EVERYTHING SHOULD BE COVERED WITH BARRIERS. I live in Illinois. Isn’t that the law? What else could properly clean the computer and mouse? This really gets me shaken up. Hi Carla – There should either be a barrier on the keyboard or the healthcare worker should take off their gloves when using the keyboard. That would make me uncomfortable as well. As an infection prevention consultant and educator, it’s nice to see there are offices that make safety a priority. Thanks, Dr. Tom for a great post!